SoundScience unveils Panettone 2.1 wireless speaker | What Hi-Fi? 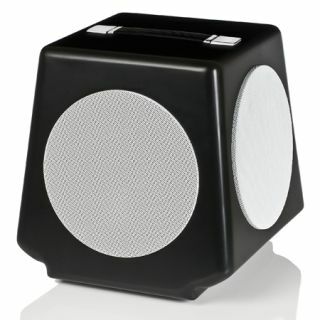 Making its debut at the Gadget Show Live is this wireless portable speaker from SoundScience. Following hot on the heels of the Bluetooth-enabled QB MITO portable speakers, the FS-100 Panettone (get it?) is a 2.1 system with left and right drivers and a forward-firing subwoofer. It can play music streamed wirelessly from any source, and is expected to go on sale in the UK end of May/early June for £300. SoundScience says it is also developing a set of wireless headphones that will use its own streaming technology.